1967 GM SDM5302: # ??? Was Pelham Parkway buses a subsidiary of Liberty Lines or some sort of affiliation between the two.. From pictures I've seen, they shared a common livery. Pelham Parkway Express was originally a subsidiary of Westcheater Street Transportation Co. When Liberty Lines acquired Westchester St, in 1969, its also acquired Pelham Parkway Express. Since we're on the subject of Pelham maybe you can shed some light on the attached photo which appears to be a group of prewar White Model 685's seen at the construction of Pelham Bay Park which was created through the efforts of master builder Robert Moses in the 1930's. The buses, with New Jersey license plates, were said to have shuttled workers to and from the project each day. Sorry about the quality of the image. 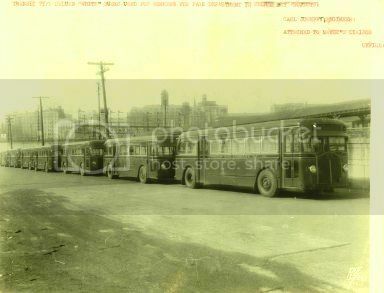 Note the above buses were received sometime between 1939 and 1940. Do you happen to know if there was a connection between Scarsdale Bus Corp and Hartsdale Bus? Many thanks for your work on this very helpful and full roster. Would you be able to identify the model or company of the second bus in this Joe Caronetti photo from Bus Talk Galleries? Because of Yonkers City Hall and 20 South Broadway in the distant background (and the position of the chimney on 20 South Broadway), I think the buses are westbound on Main Street, approaching the post office. Both have already passed through Getty Square. Seen sometime in the extremely early forties in route on the number H White Plains/Yonkers line is fleet # 506 - a 1929 38 passenger White Motor Company modeled as a 54A and one of sixty-one likenesses numbered between 500 and 560 delivered in increments in 1929 and 1931 to Third Avenue Railway System (TARS) affiliate Westchester Street Transportation Company of Mount Vernon, New York. Note 1; the record should reflect that #'s 500 to 509 arrived in 1929 and #'s 510 to 560 in 1931. Note 2; eleven of these buses (numbers unknown) were diverted immediately upon delivery to TARS affiliate Surface Transportation System of New York for service in Bronx and Manhattan. White's 54A conventional chassis, the first for the company with an in house model 1A six cylinder gasoline engine, was extremely successful in spite of the rapid rise of Twin Coach's ground breaking model 40 of the same period and sold over 700 to transit and parlor car operators across the country between 1929 and 1938. What TARS 54A's that were not sold or scrapped before the war lasted until the arrival of hundreds of new Mack and GM coaches thereafter. 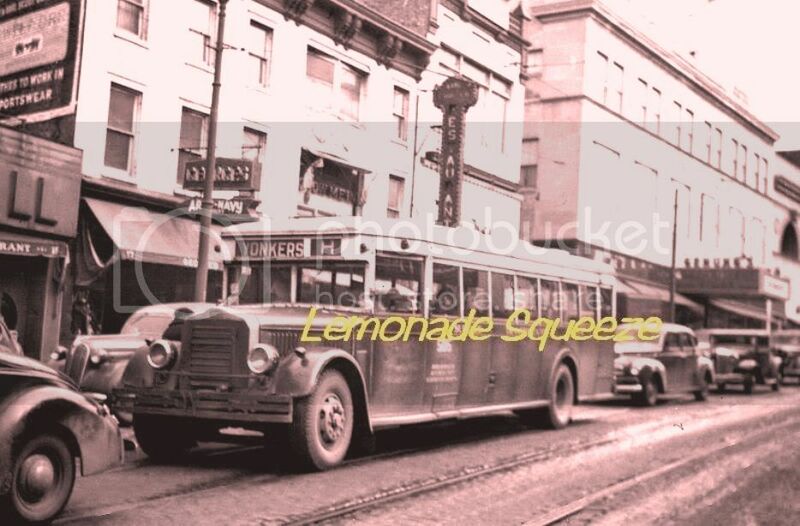 Photo courtesy of 'Lemonade Squeeze' and is available at ebay as item # 191109480457.